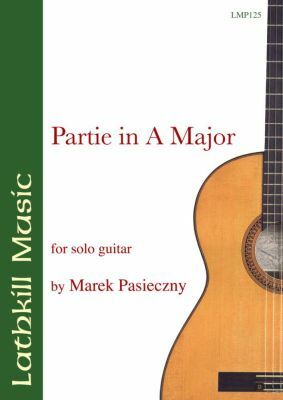 Partie in A Major for solo guitar. A six-movement Baroque pastiche suite written in memory of the 17th Century lutenist Sylvius Leopold Weiss. Titles are: Entrée; Allemande; Sarabande; Loure; Gavotte; Gigue. Watch the composer perform this wonderful suite here.